Welcome to the Defiance Area Fish and Game Association. The Defiance Area Fish and Game Association, Inc. would like to welcome you to our website. For those of you who might not know, the Fish and Game is an IRS approved 501(c)(3) tax exempt Educational Club. While there are many benefits to being a tax-exempt club, one of the major benefits is for other clubs or individuals who would like to make a donation to the Defiance Area Fish and Game. Since we are an approved 501(c)(3) entity, any donation made is tax-deductible. Our designation as a 501(c)(3) was due in part to our Board of Director’s wanting to make more educational shooting opportunities available to both members and non-members of the club. While daily shooting activities are limited to members, the special events, such as those for our Youth Shooting Sports, Women’s Shooting Sports, CCW classes, and some assorted shooting events are open to non-members. We hope that you will take a few minutes to tour our website and learn of the opportunities that the Fish and Game Club is offering members and the special events that will be open to non-members. Keep your membership card with you when you come to the club grounds. If you do not have your Life membership card or a current year membership card with you, you should not be on the club property. Any member of the Fish and Game Club can request to see your membership card. A good suggestion would be to have your card out on your shooting bench when shooting at the outdoor range. Any person caught trespassing on the grounds who has never been a member will be reported to the sheriff’s office and charges filed. Members have the month of January as a ‘grace’ period to renew their dues for the following year. If, after February 1 a past member is on the property without a current year membership card they will be given a warning and allowed to pay that year’s dues. Should it happen a second time they will no longer be allowed to join and should not be on the club property. An area that I would encourage all members to check is the Club calendar. 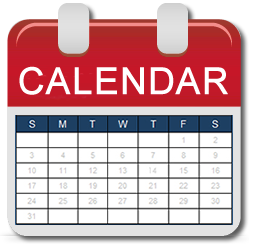 By clicking on the calendar you will be able to see any member events that are being offered and also will be able to check to make sure that the shooting range that you would like to use will be open. For example, the outdoor range is closed whenever there is a rental or Club meeting. Items on the calendar are updated several times a week so please check before you plan to come and shoot. One question that is often asked is if a member can bring a guest. The answer to that is yes. But if the guest is over 18 and is going to be coming to the property more than twice in one year, they should become a member and not come as a guest. Basically, if you are a member and have a friend from out of town and you would like to take them shooting with you – fine. You are more than welcome to bring your children, grandchildren, or even great-grandchildren with you to shoot. The annual membership cost is $50 per year, which will allow you to participate in Club, Rifle/Pistol, and Straightened Arrow activities. Also, new Life memberships have been eliminated. Current Life members will continue as they have in past years – being exempt from yearly Club dues, but paying $25 for each extra club (archery or the indoor range). While we attempt to keep the calendar as up to date as possible, ‘short notice’ items will be added here as well as the calendar. Meeting Time Change and Trap Shooting: Starting in October, the club meeting time will return to 7:00 p.m. and there will be NO trap shooting prior to the meeting. Membership change. If you want to become a NEW (not renewing) member of the Fish and Game you will need to attend a Fish and Game meeting. At the end of that meeting you will be able to get signed up and receive your electronic keycard. If you also want access to the indoor range you will need to attend the safety meeting, which is also given after the club meeting. These meetings are the second Thursday of each month and start at 7:00 p.m.
Tickets are $20 each and the winning ticket is returned to the drum for the following month’s drawing. Yes, you could win more than once with only one ticket. But your chances improve with multiple tickets. 2019 Tickets are currently on sale. To purchase tickets or members wishing to help sell tickets, contact Ralph at the phone numbers below.